You shop with us for a lot of reasons – like how we have Endless Looks, Precision Details for Flawless Installations, and a Personal Touch! Get the Personal Service You Deserve: At Window Imagination, Inc. we are able to give you the personal attention you deserve. If you need to discuss your project with our owners, Jayne & Thad Kallas, they are here to take your call. We understand that not all jobs are alike and they may require innovative thinking. 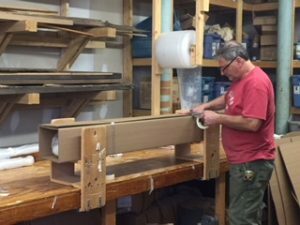 Put Thad’s 35 years of installation and drapery hardware manufacturing experience to work for you and your clients. 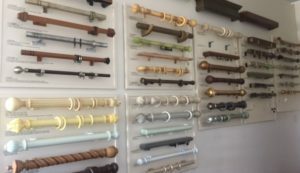 All wood, wrought-iron and custom brass & stainless steel hardware are made to order. Every detail is custom made by skilled tradesmen to your exact specifications. Whether it’s wood or metal, we can provide you with what you want. 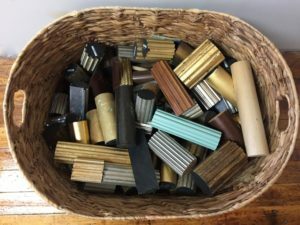 Wood and Metal Rods are available in a variety of shapes and diameters, all in custom lengths and finishes. 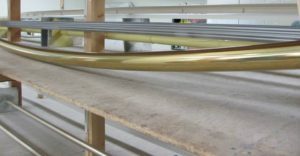 With bespoke finishes, the options are truly limitless! Request your Custom Estimate for your next project by email or phone: Jayne@WindowImagination.com or (978)655-4394.